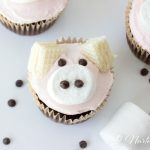 I am constantly making frostings and cupcakes to take along at birthday parties. 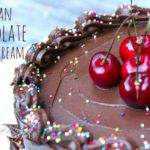 My kids are gluten intolerant so I am constantly whipping up healthy, homemade and yummy frostings and cupcakes. The truth is, some come out great and some are just plain awful!!! I am happy to say that this one is DIVINE! It is light and fluffy, it frosts really well and is the prettiest princess pink you have ever seen! 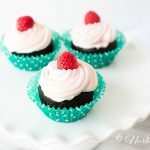 It has a light taste of raspberries and is sweetened just the right amount. I took these to a party on the Fourth of July and several family members had the chance to taste this frosting and gave it a thumbs up! 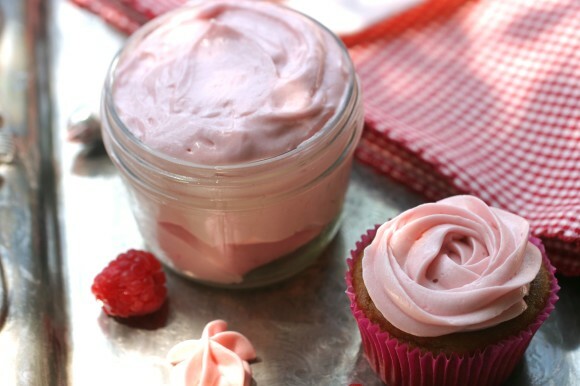 Pair this raspberry vegan frosting with my “Best Gluten Free Chocolate Cupcakes” recipe! 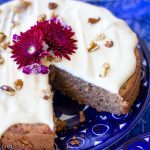 Some key ingredients you will need in this frosting are Spectrum Organic Vegetable Shortening, honey, stevia and almond extract. Mix this with a hand mixer or Kitchen-Aid stand mixer. I love my Kitchen-Aid, ever since I got one, it has been a huge help in the kitchen! It really is an aid in the kitchen! 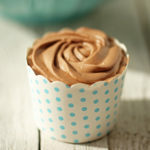 I am using a piping bag and Wilton 1M tip to decorate these cupcakes with rosettes. If you would like to learn how to make these pretty rosettes on your cupcakes, I have a rosette tutorial HERE or watch the video below. 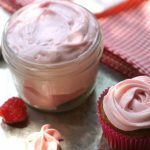 This is now my favorite way to make a natural pink food dye! 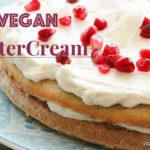 For sure I will be using this raspberry vegan frosting to decorate my daughter’s princess birthday cake! Happy decorating!!! In a large mixing bowl, add vegetable shortening, honey, vanilla, stevia, salt and almond extract. In a small bowl, add fresh raspberries and water. Crush with the back of a spoon or mortar and pestle. Crush raspberries until you have a creamy puree. Strain raspberry puree through a fine mesh strainer directly into large mixing bowl where other ingredients are located. You will get a clear pink raspberry liquid. Throw away raspberry seeds in strainer. Beat all ingredients in large mixing bowl on high with a hand mixer for approximately 1-2 minutes. Taste for desired sweetness. Add more honey if desired. 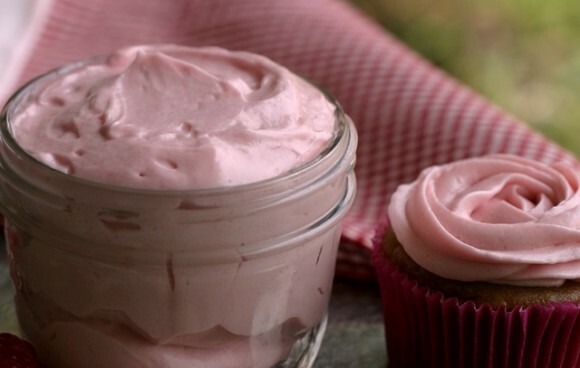 To frost cupcakes, use a Wilton 1M tip and a piping bag. Bon Appetit! 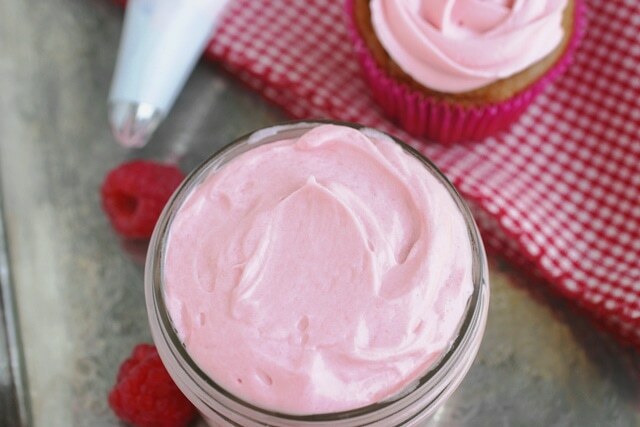 You must use a handheld mixer or an immersion blender to emulsify the raspberry juice and shortening in this recipe. This recipe will not work by hand with a whisk. I made the raspberry frosting but I substituted coconut oil for the shortening and then stuck in fridge (My cake was not yet done baking or cooling). Well long story short didn’t work out exactly but it still tastes fine any advice Welcome!! Honey isn’t vegan, but agave would be a good substitute. Yes, the honey debate. From my research, people have different beliefs when it comes to honey being vegan or not. I completely respect everyone’s individual beliefs. For example, my favorite restaurant is Café Gratitude which claims to be vegan and they use raw honey as one of their sweeteners. I am sure that there are vegans that prefer to use agave or maple syrup in that restaurant and will request that. That being said, please use your favorite sweetener in this recipe and thank you Hannah for your comment!! !